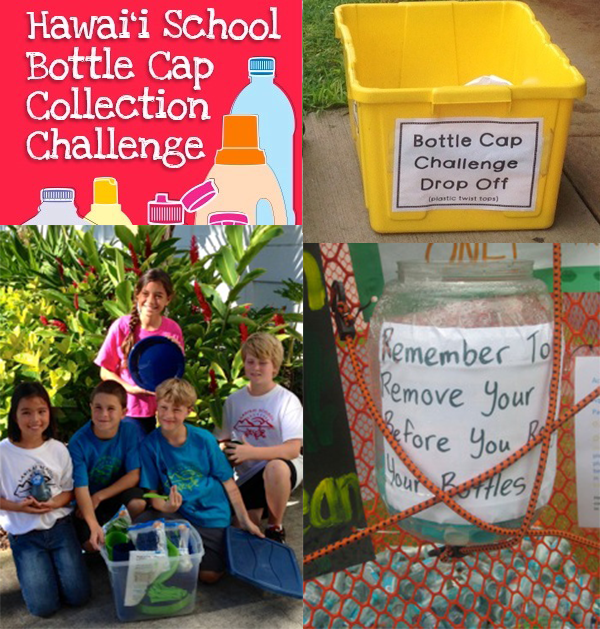 The Hawaiʻi School Bottle Cap Collection Challenge is underway with over 50 schools participating from four islands! The Hawaiʻi School Bottle Cap Collection Challenge runs now through March 31 with the top three schools in four categories winning Waste-Free Classroom Celebration Kits and the school collecting the highest volume of plastic caps per capita to receive an in-school concert by Kōkua Hawaiʻi Foundation co-founder, Jack Johnson! Check out students from Lanikai Public Charter School promoting the Hawaiʻi School Bottle Cap Collection Challenge on the KHON2 News Be Green 2 segment! It's not too late to register your school for the challenge. Visit www.kokuahawaiifoundation.org/bottlecapchallenge for details. Do you have plastic bottle caps and want to help a school? Drop off at any of these participating schools BEFORE March 28.